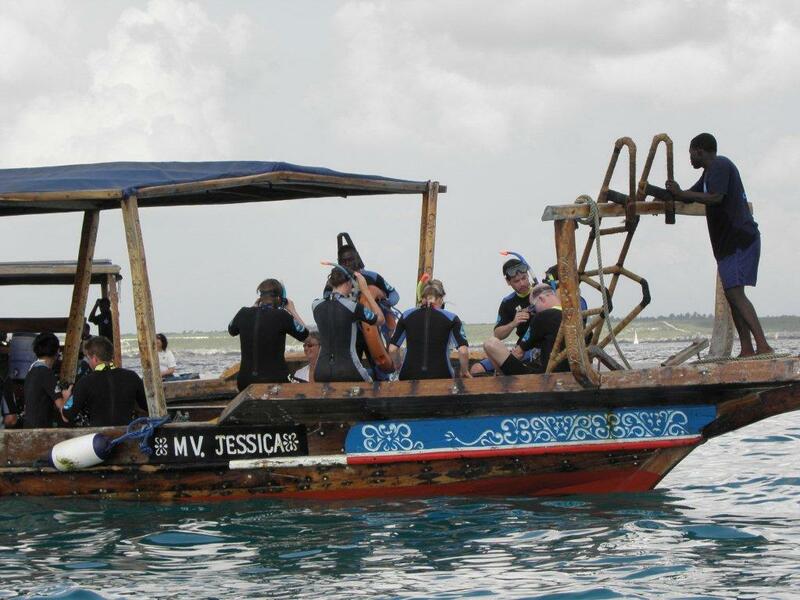 Diving and snorkel off Mnemba Atoll is always a treat as you never quite know what you will find. The visibility can be a stunning 40 mtrs. if you time the dive on an incoming tide. What makes Mnemba Atoll different to diving from town is the amount of schooling fish, from Striped Snapper, Surgeon Fish and up to ten green Turtles can be seen on one dive. If you look hard enough you will find the masters of disguise the Frog Fish who camouflage themselves so that they are not seen by predators. 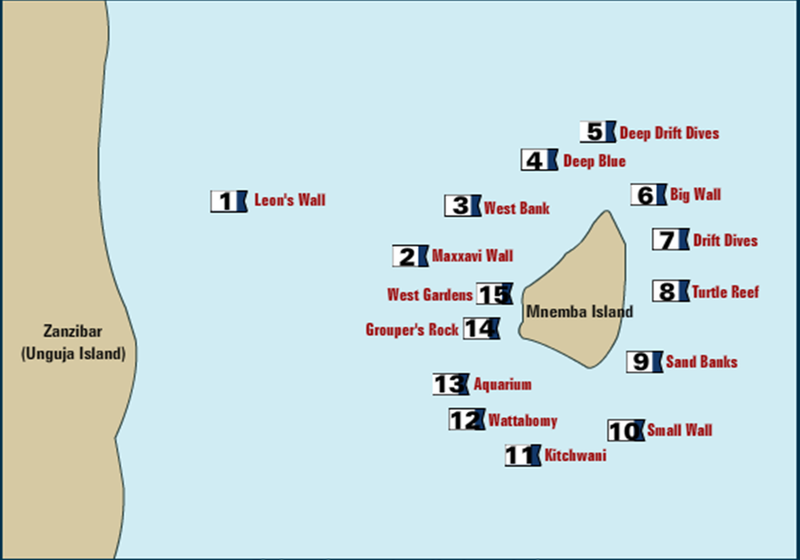 Leon’s Wall: Experienced Divers; 35-50m, Wall dive with several caves, variety of coaral fish, snappers, big game fish. 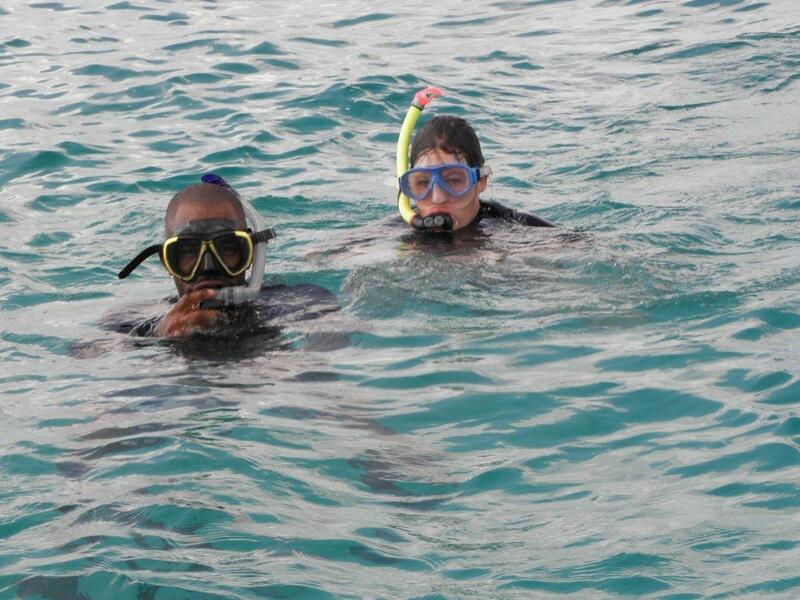 West Bank: Experienced Divers; 18-40m, Cray fish, reef sharks, rainbow runners. Big Wall: Experienced divers, 35-60m, pelagics, rainbow runners, jewfish, yellowfin, manta rays, whale sharks, turtles. Drift Dives: Mid level divers, 20-40m, pelagics, travally, rainbow runners, scorpion fish, stone fish. Small Wall: Exprienced divers, 30-60m, overhangs, schools of fish, pelagics, black ribbon tail, sting rays. Kitchwani: All level divers, 20-40m, Mushroom, honeycomb, brain & staghorn coral, yellow snappers, travally. Wattabomy: All level divers, 12-25m, rays, eels, nudi branchs, snappers, small reef fish, angel fish, lion fish. Aquarium: All level divers, Snappers, turtles, rays, sharks, surgeon fish, moorsih idols, parrot fish, groupers. Groupers Rock: All level divers, 16-25m, Groupers, rays, sharks, turtles. Don’t miss Mnemba Atoll while at Kandili Villa!